Bookmakers have Manchester City as favourites to win this year’s Champions League ahead of Barcelona, with Juventus rated third. They are wrong to rate City ahead of Barcelona. First off, as Citizens boss Pep Guardiola himself admits, his team are teenagers in the competition. Rating a side whose best ever finish was a semifinals place is a tad naive. Secondly, City don’t have Lionel Messi. The world’s best player is peaking at the right time, thanks to rest he was getting earlier in the season. And thirdly, City don’t boast a strike partnership as fearsome as Messi and Suarez. Those two have developed a telepathic understanding and are both better attackers than anyone on the Etihad Stadium payroll. You’ve probably heard of the term Bayernsliga used to refer to Germany’s top flight league, thanks to Bayern Munich’s overriding dominance. Can someone please coin a similar moniker for Spain’s Liga Santander? Such is FC Barcelona’s dominance, we’re soon forgetting that Primera Liga is supposed to be a duopoly akin to the Old Firm – Celtic and Rangers. Barcelona’s 4-1 victory over Real Betis means Blagruana are cantering to their ninth Liga Santander title in twelve seasons (shame upon Real Madrid). Coinage on the lines of Blagrualiga would not be too far off the mark. 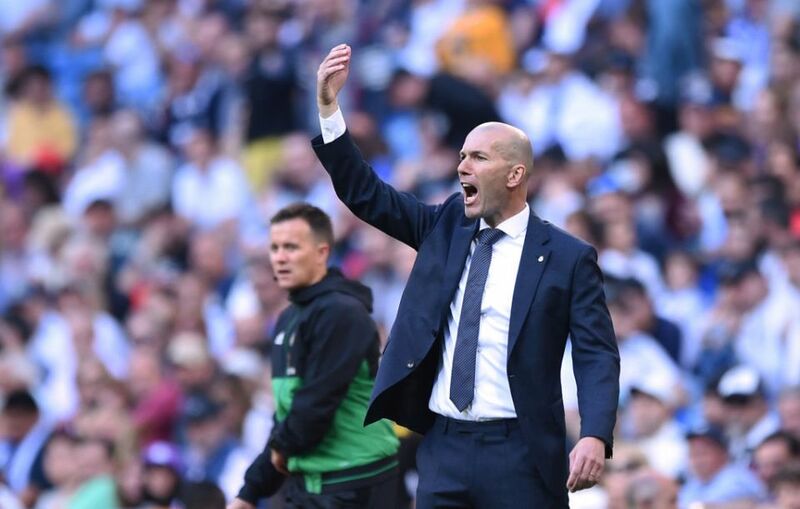 The magnetic power of Zinedine Zidane was apparent as he guided the record Spanish and European champions to victory over Celta Vigo within 48 hours of his reappointment to the Santiago Bernabeu hot seat. The entire Los Blancos squad was clearly pulling in the same direction for the man who won three consecutive Champions League titles before taking a sabbatical ten months ago. The biggest loser from Zizou’s arrival is Thibaut Courtois whose place in goal has reverted to multiple Champions League winner Keylor Navas. Otherwise, Isco, Gareth Bale and Marcelo; who had all been frozen out by Santiago Solari, are back and firing on all cylinders. For the fourth time in the space of two seasons, I witnessed a Championship side stand toe to toe with Premier League champions Manchester City in a manner most EPL sides are incapable of. Swansea pushed City all the way in Saturday’s FA Cup match and only fell courtesy of an offside Sergio Aguero goal. Even the Argentine’s equaliser that drew the Citizens level at 2-2 came thanks to a dubious penalty. Lower division teams definitely face Pep Guardiola’s trailblazers without fear. I saw it twice with Bristol City and Wolverhampton Wanderers last season. To stand a chance against City, opponents must out-work, out-run and out-duel them mentally. Besides, they must have six defensive players stationed within their 18-yard box. Chelsea fans are once again up in arms because their side fell 0-2 to Everton to miss the chance of leapfrogging Manchester United on the EPL table. The Pensioners’ inability to finish off numerous chances created in the opening stanza was their undoing. That is not something for which you can blame beleaguered manager Maurizio Sarri. In fact, as Sarri noted in his post-match comments, the opening 45 minutes at Goodison Park were the best the Londoners have played all season. All that was missing were goals. Instead of hiring and firing, Chelsea would benefit from giving Sarri another crack next season. The football Sarri teaches is good to watch. It just needs a little tweaking and we shall have Chelsealona.